Josh Soto, EHS Manager for Mickey Truck Bodies, has assumed the additional responsibility for Quality Control. Tim Hullett, Mickey’s previous QC Manager, has been assigned to the newly created position of Manager of Manufacturing Training and Maintenance. They both report to Matt Sink, VP Manufacturing & Director of Corporate Operations. 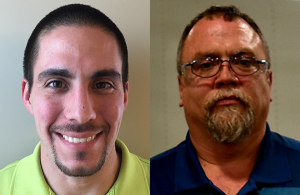 “With his experience in QC, Tim is well positioned for this new role, and we expect him to achieve great results as we strive to better prepare our new teammates to work for Mickey Truck Bodies,” says Matt. “His first priority will be to assist new team members getting set up in our recently acquired facility in Salem Township, PA.” Tim has been with Mickey since 2014. “Since joining the company in 2015, Josh has effectively reinforced people-based safety as Mickey’s number one priority, and has successfully engaged his teammates to improve quality and productivity by improving safety,” according to Matt. “I’m sure he will have the same positive impact on our QC program.